With book seven in the Chronicles of Celadmore on its way, we’re talking a look back at the sixth book in the series and where everything was left in Celadmore. So from this point on there will be spoilers! You have been warned. End of Days is the end of the Shroud of Darkness trilogy and one of the most important books in the Chronicles of Celadmore series. It doesn’t just bring closure to a story arc, along with the deaths of a few characters, it also ties together the Rising Empire trilogy and the Shroud of Darkness trilogy. It provides the jumping off point from the rest of the series – everything that you know about Celadmore so far has just been build up for what comes next! Yes, the hero and heroine of the story arc haven’t exactly had the best time of it between the death of Venetia’s son in battle, Valians trying to convince Gruagadon to murder Venetia, the loss of most of Celadmore to Aksoth’s marauding army, the disapproval of Venetia’s family and friends and Gruagadon’s own misgivings about the people of the Order. But at the end of Lady of Fire, things seemed to be working out for the two of them. They were finally married, Venetia was pregnant and only Radow seemed to have anything bad to say about the relationship. But the battle is far from done and with so many people crammed into the city of Grashindorph from so many different nations it was only a matter of time until they were forced apart – Gruagadon sat on his throne in the city and Venetia out in the wilds at the mercy of the Nether kin horde. Of course, Venetia is not alone out there, and she is returned to the city in the most unexpected style to save all from disaster, but in the end there isn’t a happily ever after for the Fallen Prince and the Red Demon and death isn’t something either of them have the power to overcome. With time running out for Lavinia, the guardian becomes more than a little desperate and in Tatinia ascending to the mantle of guardian there realm is left an awful lot darker and without the wisdom of Kania and Nodarto. It also leaves the Abbott and Cassandra without anyone to help guide them for the first time in several thousand years. There are a host of new characters that appear for the first time, the children of most of the royal line of the Order has travelled through the portal in Grashindorph to seal it, much like Kasnata and Rathe did at the end of Rising Empire: Part 3, but this time there were no spoils of Avner to be created as there was no power of the rising Seven Stars to be deal with. But what does this mean for When Darkness Falls? Well, there is Darnado still loose in Celadmore with allies amongst city leaders and a talent for surviving. Delmira and the Valians still haven’t been wiped out and with all the business at the Abbey, you can be almost certain that it has something to do with the Seven Stars. Gruagadon is king and his children are alive, along with a lot of the other members of the Order. When Darkness Falls continues a few years after End of Days, and from what we know of the plot so far, things are about to get worse than they have ever been before – and we know that how bad its been for Celadmore already. All we will say about the events of the next three books in the series is that you are going to need a few thousand tissues to help you get through the books and that C.S. Woolley will need some protective headgear. The book is also going to feature the deaths of some of fans of the series who won the opportunity to be killed off during the Murder in March event that was held earlier this year. Sign up to our mailing list to get the latest news, releases and offers from Mightier Then the Sword UK. As you may have noticed, we have a number of locations that you can buy officially sanctioned merchandise from, however most of this isn’t directly available from us. But we do have an etsy store that you can purchase eBooks, paperback books and even posters directly from us. All prices include shipping for domestic and international customers. A viking saga for children, Fate is the ideal book for children from ages 5 to 500. If you already have your copy of Fate, then the map of Viking Denmark is the ideal accessory to put on your wall. Printed on 135 gsm, A3 paper and coated with a gloss finish, the map is the perfect way to track the adventures of Erland, Eva, Christian, Dalla, Riki and Wifrith. Looking for somewhere to get away to this summer? Don’t have a huge budget to spend on expensive hotels and five star dining? Well, we at Mightier Than the Sword UK have the solution – why not try holidaying in Celadmore? Celadmore is a realm that offers a wide range of different destinations with activities and landscapes to suit even the fussiest of holiday makers. There are beaches galore to be found in Celadmore, but the finest beaches we have to offer can be found around the sun-drenched shores of the Silver Ocean. You aren’t limited to activities in the daytime either – the night skies in Celadmore are some of the finest you’ll see anywhere in the universe, making Celadmore the perfect destination for those who love to stargaze. Of course, Celadmore has it’s quiet side as well. The plains of Celadmore are littered with abbeys and temples that offer a place for quiet reflection and escape from the rush of everyday life. There are rules about who can enter some of the abbeys and temples though, so be sure to check before you set of to visit them. For those who prefer a cool climate and snow sports, the Blue Mountains offer the perfect setting for ice climbing, trekking on our stunning glaciers, skiing and snowboarding, though we do advise you watch out of the wildlife that inhabits the area, some of it is more than a little unfriendly. There are lots of historic ruins the visit across Celadmore, some more recent than others, that give you the opportunity to experience our rich history and discover some of the darker secrets of the realm. It’s not just the surface of Celadmore that you can explore, there are also all the cave cities and settlements that are carved into the hill and mountainsides across the realm. For those who are much more interested in nature than in exploring the human elements of Celadmore, there are a plethora of wide open spaces to be explored and experienced and enough native wildlife to keep even the most experienced entomologists happy. *Mightier Than the Sword UK accepts no responsibility for wars breaking out across Celadmore. If you find yourself in the middle of a battle, we advise you hide or pick up a sword. Rising Empire: Part 1, Rising Empire: Part 2, Rising Empire: Part 3, Shroud of Darkness, Lady of Fire and End of Days are all available in digital and paperback format from a wide range of booksellers around the world. Digital copies start from just 59p per copy (kobo). The Chronicles of Celadmore is a fantasy series based in a fictional realm, written by C.S. Woolley. The Chronicles of Celadmore falls into the epic fantasy end of the fantasy genre with some influencing elements of gothic fiction and gritty realism that combine to create a fantasy series that is as much for those who like fantasy as it is for those that generally find the genre to be too fluffy. The gritty nature of the series will appeal to those that enjoy the Game of Thrones series and the writing style will appeal to those who enjoy the works of Tolkien, Joss Whedon and Raymond E. Feist. The realm of Celadmore is packed full of unique languages and cultures for each of the races that exist as well as feuds and histories that will satisfy those who enjoy lots of wider reading around the series. The Chronicles of Celadmore is a series that is set to include 21 titles as well as a spin-off series under the title “The Dragonian Wars”. Each section of the Chronicles of Celadmore is broken down into trilogies, though there is an overarching plot for the whole series. An empire will rise and nations will fall. The nine kingdoms of Celadmore are at war. The people suffer under tyrants that strive to gain land and power in the struggle for superiority. Queen Kasnata is trapped in a loveless, political marriage to King Mercia Nosfa VI. Her children are held hostage by her husband to force her armies to march on his whim. The people of Grashindorph, capital city of Nosfa, are oppressed by their king and beneath the surface of the city a revolution stirs. As war threatens to tear Celadmore to pieces, Kasnata struggles to bring peace back to the realm. She fights against venality to bring hope to all those that are oppressed, as well as those that have been caught in the savagery of warring kings. Can the legendary queen, Empress of the Order find the strength to fight knowing the fate of her people rests on her shoulders? “We assume he has been alone with the queen for the last few days and yet no one seems too concerned about it. He seems to have the trust of a lot of very suspicious individuals. If I were an assassin or a spy, then that is how I would infiltrate our people.” Misna observed with a shrug. “You are an assassin, spy and infiltrator.” Amalia said with a raised eyebrow. The blood moon rises and madness is unleashed. Kasnata, Queen of the Order and Queen of Nosfa leads her armies against the people of Delma. A war she did not want to fight, but her husband, the King of Nosfa, Mercia Nosfa VI has forced her hand. Leinad, the heir to the throne of Nosfa and son of Kasnata, is held hostage in the city of Grashindorph where revolution is beginning. Hermia, mother of Mercia and former Queen of Nosfa leads the revolution against her son, a revolution to end the wars and tyranny that their people suffer under. Kasna and Kia are safe from their father in the Oasis of Tulna, but Duke Kelmar DeLacey, Regent of Delma, still hunts for them. Kasnata’s empire is growing and her legacy is being forged through war, not diplomacy, a mantle her people will carry down the ages. But there is more at work than any mortal knows, their lives, though fleeting, will form the realm and the consequences of their actions will be felt for centuries to come. The siege of Delma has not been broken. Kasna remains a prisoner, a prize of war and a bargain chip to be used against her mother. Duke Kelmar DeLacey, the Regent of Delma, must choose between obeying his King, gone mad, and the woman he loves, the daughter of his most dangerous enemy. Neesa, the last heir of Valia, assaults the fortress of Animoore, the first outpost of Kasnata’s new empire, the haven where the son and daughter of Rathe and Kasnata were supposed to be safe. Yoav and the Eight fight to protect them, but the might of the blood moon is an overwhelming force that is feeding Neesa’s power. The guardians have left the Ballo Fortress and move to advise Kasnata in the absence of the Abbott and Cassandra. Cassandra is headed north with Tola, Shamgar and a boy that is as dangerous as he is mysterious. The Abbott is in the Spire, waiting for events to unfold before he emerges from it. King Mercia Nosfa VI holds Lady Mia captive, a trap laid to capture her brother and traitor to his people, General Rathe Bird. But the king’s madness increases with every passing day, losing what is left of his mind under the influence of Neesa’s magic. Mia weeps over Joab, her heart and will broken, resigned to her fate as a unwilling second bride of the king. Rathe, Mathias, Asahel and Helez strike at the heart of Grashindorph, undermining the power of the king, working to free Mia, as Layla and Jephthah have been dispatched to the streets of Grashindorph to find leaders amongst the people to finally start their revolution and rescue Prince Leinad from the clutches of his father. Kasnata’s empire is rising, the people of the cities of Celadmore can taste revolution in the air as the Gibborim stirs, but how will those that have fought and died be remembered and how will the most dangerous secrets of Celadmore be buried? You can find out more about the characters from the Rising Empire Trilogy on the Rising Empire Characters page. In the realm of Celadmore, evil is stirring. The war torn land has not recovered from the last conflict as evil rises and threatens to ensnare the world of light. Venetia, favourite daughter of Queen Annalia, must fight enemies and allies alike. She must uncover truth amidst deception to discover the source of this new threat to her world before the darkness engulfs it. Four years after the Dragonian Wars raged across the realm of Celadmore, leaving it ravaged and ruined; Venetia, Queen of one of the five Anaguran tribes has seen evil lurking once more. She led the Allied Spirit of Celadmore to victory against the tyrant, Dragonious, but the world has changed. Politics, deception and mistrust have separated the old alliances so now each nation stands alone. It is up to Venetia to unite not only the five tribes of Anagura, but all the peoples of Celadmore to fight against an unseen enemy that threatens to destroy the peace that she has fought so hard to achieve. United they must stand for destruction is upon them. The realm of Celadmore faces it’s destruction as a war that none perceived is brought against them. Venetia, Queen of the Order of Anagura and Queteria, must forge a new alliance between the nations of Celadmore against the evil that Aksoth, Lord of Nether Roth, is set to unleash. The Allied Spirit of Celadmore must be raised and march once more. Venetia, Queen of Dark Fire, so sure of her victory in war may now suffer a defeat that will destroy her home realm of Celadmore. The dark forces are gathering, their mastermind, Aksoth, has revealed himself. No Oracle predicted his coming, no warrior was prepared. Venetia must gather her companions and ally the divided nations of the realm of light or face it’s utter destruction. The end is here. Aksoth’s forces roam unchecked across the plains of Celadmore; the people of Celadmore have been forced to retreat to the fallen city of Grashindorph. Within the city there is trouble. Leaders of each of the countries of Celadmore seek to control the city. Mistrust runs like a fever through the city. Scheming and corruption distract the people from preparing to stand against Aksoth in one final battle. Revolution stirs amongst the poorest of the people; Venetia seeks to restore Gruagadon to his rightful place on the throne of Nesca and will sacrifice anything to get him there. Harmony is so far from their grasp that the thought of victory fades as forces, beyond the control of any mortal, clash and the future of Celadmore is decided. In this final bastion, they must find victory or Aksoth will purge the realm of light of all life. You can find out more about the languages of Celadmore, including dictionaries, on our languages of Celadmore page. You can read more about the history of Celadmore here. You can purchase all the books in the Chronicles of Celamdore in digital and paperback formats. You can also get the Shroud of Darkness Trilogy in a boxset edition. The next book in the Chronicles of Celadmore is the start of the Fading Dawn Trilogy: When Darkness Falls and features three Murder in March competition winners who will all see characters named after them being killed off during the book. As we continue with our Advent celebrations, day 2 is marked by a combination of a sale and a competition! But we thought that it wasn’t quite enough to make a bundle of books and have them on sale between now and the start of Christmas Day, so we have thrown in a little extra. For every 50 bundles sold we are going to give away a 7″ Kindle Fire Tablet! Every purchase made will automatically enter you into the giveaway, so once you’ve bought your bundle, all you have to do is sit back and wait to find out if you’ve won! Winners will be contacted via etsy once the draws have been completed. Winners will be drawn at random. To get your bundle and be entered into the Kindle Fire draw please visit http://ow.ly/Vm9gj. To celebrate the run up to Christmas there are going to be 24 different events, sales and competitions run, one announced on each day, all ending as Christmas Day begins. For Day 1 we are happy to announce – The Chronicles of Celadmore sale! Yes, up until December 24th you can get Rising Empire: Part 1, Rising Empire: Part 2, Shroud of Darkness, Lady of Fire and End of Days for just $4.80! Five ebooks for less than $5! To take advantage of this offer simple head to Smashwords,https://www.smashwords.com/books/byseries/3684, add the books to your shopping cart and enter the following codes at the checkout to get your discount. Smashwords even lets you send books as gifts as well! All books are normally priced at $2.99 and the box set is normally $6.50. This means you can save a total of $10.15 by using the sale codes! Black Friday is just around the corner and we have decided to offer 50% off our $2.99 titles through Smashwords. This means every e-reader can benefit from the discount! Using the coupon codes below when you reach the checkout will add the discount to your purchases. Rising Empire: Part 1 is the only exception to this as it is currently free from Smashwords as well as a few other retailers. Rising Empire: Part 1 is the first installment in the Rising Empire trilogy. Rising Empire: Part 2 is still undergoing a re-write due to C.S. Woolley and her ever-so-slightly obsessing compulsive ways. She has had some requests from readers to re-release the book, so it is currently available as a NaNoWriMo title through Smashwords. Most of the work on this book was completed during the April NaNoWriMo event and the re-write is being done during November. Those that choose to take advantage of this offer will be able to download a completed copy of Rising Empire: Part 2 from Smashwords when it is finished without having to buy the book again. Shroud of Darkness is the first book in the Shroud of Darkness trilogy in the Chronicles of Celadmore. Set 400 years after the events of the Rising Empire trilogy (Parts 1 to 3), Shroud of Darkness follows Venetia and her friends as the investigate strange occurrence that suggest and old enemy has returned. Lady of Fire is the second part of the Shroud of Darkness trilogy. With the enemy finally revealed, there are lots of questions to be answered, old alliances to reconstruct and traditions that must be cast aside to ensure the survival of the realm. End of Days is the third and final part of the Shroud of Darkness trilogy. With nowhere left for the great armies of Celadmore to retreat to, they must make their last stand against their enemy. But life is never straight forward. Even faced with annihilation, the mistrust between nations, that is centuries old, cannot be left aide. Trouble brews in the city of Grashindorph as the Order struggles to unite the armies and prepare those that can fight to defend themselves and those that can’t. The Shroud of Darkness trilogy boxset contains Shroud of Darkness, Lady of Fire and End of Days in a single collection. An ideal gift – which you can send via Smashwords. Beginnings is the first book in the Nicolette Mace: the Raven Siren series and is also the longest book. This book details the origins of the private detective, Nicolette Mace, who is better known to most as the Raven Siren. 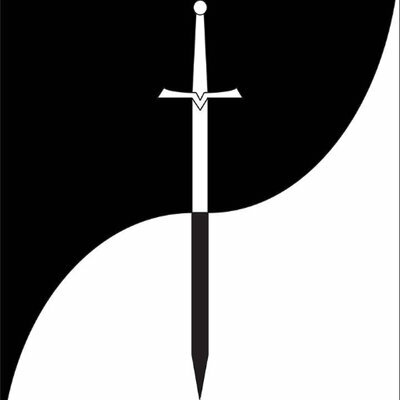 The Kevin Metis Saga was the first book to be published by Mightier Than the Sword UK and was also the first book that C.S. Woolley had published. It is set 8 years after the events of Beginnings. The Derek Long Saga is the third book in the Nicolette Mace: the Raven Siren narrative. It picks up where the Kevin Metis Saga leaves off. Unlike the previous books, the events of the Derek Long Saga take place over a few days instead of a few years. You can also get The Case of Mrs Weldon, Hunting the Priest Killer and Murder in the First from the Nicolette Mace: the Raven Siren sub-series, Filling the Afterlife from the Underworld, for free as well! Shroud of Darkness has reached number 15 in the top 100 epic fantasy titles on Kobo and number 72 in the fantasy action suspense category! 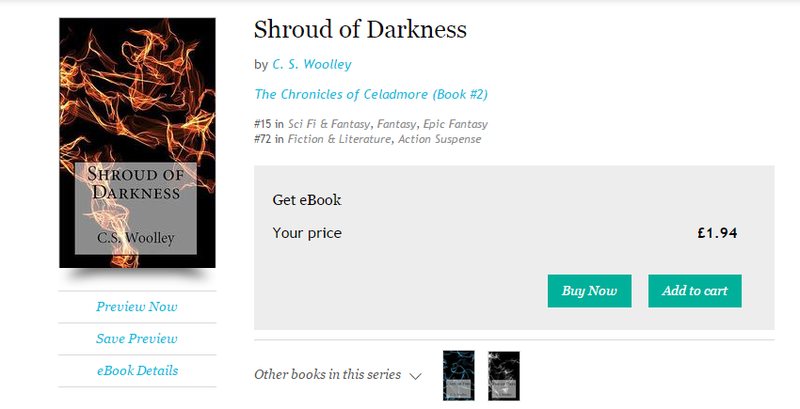 Priced at just £1.94, Shroud of Darkness is the fourth book in the Chronicles of Celadmore series and the first volume of the Shroud of Darkness trilogy. In the realm of Celadmore, evil is stirring. The war torn land has not recovered from the last conflict as evil rises and threatens to ensnare the world of light. Venetia, favourite daughter of Queen Annalia, must fight enemies and allies alike. She must uncover truth amidst deception to discover the source of this new threat to her world before the darkness engulfs it. Four years after the Dragonian Wars raged across the realm of Celadmore, leaving it ravaged and ruined; Venetia, Queen of one of the five Anaguran tribes has seen evil lurking once more. She led the Allied Spirit of Celadmore to victory against the tyrant, Dragonious, but the world has changed. Politics, deception and mistrust have separated the old alliances so now each nation stands alone. It is up to Venetia to unite not only the five tribes of Anagura, but all the peoples of Celadmore to fight against an unseen enemy that threatens to destroy the peace that she has fought so hard to achieve. Shroud of Darkness follows the exploits of Venetia, Queen of one of the five tribes of Anagura and her quest to uncover the truth about what is happening to her beloved homeworld. Author C.S. Woolley was interviewed about Shroud of Darkness last year by Write a Revolution. You can read the full interview here, though we have included some extracts from it below. Shroud of Darkness is a single installment from The Chronicles of Celadmore series. Can you tell us a bit more about the series and how Shroud fits in to it? I started writing the Chronicles of Celadmore when I was about 12 and it has changed somewhat since then but one of the biggest changes that has come over the years is the scale of the world. The Chronicles of Celadmore follows lots of different races of people from the realm but they aren’t elves, dwarves or other fantastical beings, they are just different humans. Shroud of Darkness is the fourth book in the series that sees the start of the story arc that follows the Queen of the Order, Venetia Silvermoore. Though it is the fourth book in the series, it is the first one I wrote. The story draws us into a world of myth and fantasy, where the balance between darkness and light is at stake and wars rage. The fantastic imagery you invoke with your writing is reminiscent of such tales as the Hobbit, Narnia and even elements of Game of Thrones. Which stories or writers helped inspire you to create such a remarkably vivid world? I’ve not actually read the Game of Thrones books, but the Narnia books growing up were one of my favourite things to read as was the Hobbit. I have been influenced quite a bit by Tolkien and Lewis but also by the work of Raymond E. Feist, though that has been much more recent. I also have been heavily impacted by Wind in the Willows and the Swallows and Amazons series, I love the way that small events have huge impact in those books, and how in some of Arthur Ransome books you find that by the end, adventures you think have actually happened have just been stories being told. I love it when authors can lead you in the direction they want you to go and then are able to twist it on you in ways you didn’t see coming. Where did the inspiration to create your lead character Venetia come from? Does she perhaps possess elements of your own personality? Interestingly Venetia isn’t really very similar to me in personality; the character Cassandra is much closer to me. She was actually inspired by Arwen in Lord of the Rings, or rather the very small scene in the film, the Fellowship of the Ring, where Liv Tyler challenges the Ringwraiths to take Frodo from her. Before that Venetia was very much a passive character with the male characters having a much stronger presence. Shroud of Darkness is available from a variety of online retailers as well as local bookstores. For more details about where you can purchase a copy visit the Shroud of Darkness site page. 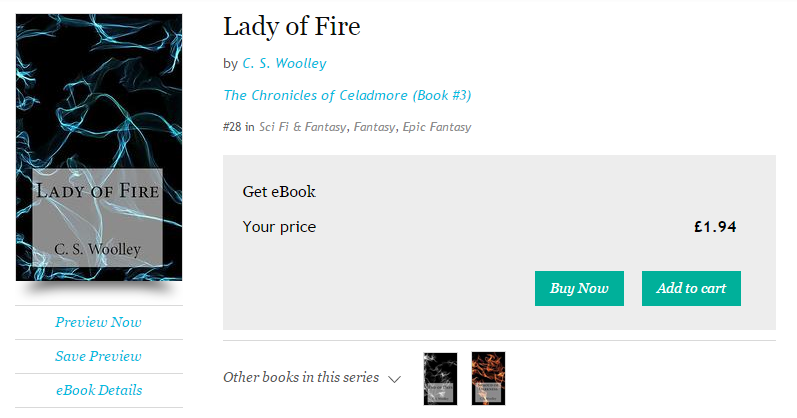 But not to be out done by the novel that started it all, Lady of Fire and the recently released, End of Days are not far behind Shroud of Darkness, sharing number 28 on the epic fantasy best seller’s chart on kobo. Traitors must be found, the world must be saved. Venetia, Queen of Dark Fire, so sure of her victory in war may now suffer a defeat that will destroy her home realm of Celadmore. The dark forces are gathering, their mastermind, Aksoth, has revealed himself. No Oracle predicted his coming, no warrior was prepared. Venetia must gather her companions and ally the divided nations of the realm of light or face it’s utter destruction. Mistrust runs like a fever through the city. The end is here. Aksoth’s forces roam unchecked across the plains of Celadmore; the people of Celadmore have been forced to retreat to the fallen city of Grashindorph. Within the city there is trouble. Leaders of each of the countries of Celadmore seek to control the city. Revolution stirs amongst the poorest of the people; Venetia seeks to restore Gruagadon to his rightful place on the throne of Nesca and will sacrifice anything to get him there. In this final bastion, they must find victory. Shroud of Darkness, Lady of Fire and End of Days are all available from Kobo priced at between £1.91 and £1.94. If you don’t have a kobo e-reader, you can download the kobo reading app for free on Andriod and iOS devices. Well we’ve all been lucky enough to have a few weeks off over the Easter period. This was mostly down to C.S. Woolley disappearing off to America for three weeks with her family to enjoy the sun, sea and swimming pools over there. As many of you may have noticed there have been lots of changes made to the site before we went on holiday and some more are on the way, so watch this space for more information and a more streamlined site experience for you, the users. End of Days is not yet cold on the presses and we have been able to celebrate the release of Nicolette Mace: the Raven Siren – Beginnings. Yes, the first volume of the adventures of the Raven Siren is now out and you can see where everything started, experience the first meeting of Siren and Fred, enjoy the friendship growing between Harry, Siren and Fred and meet the eponymous villains, Kevin Metis and Derek Long, for the first time, all for just $2.99 from Smashwords, £1.99 on Etsy and $4.43 on Amazon. Camp NaNoWriMo is continuing until the end of the month and has seen some great productivity from amongst our team as well as the different cabins they are all in for this month of intensive writing (yes, we had to split them up, otherwise no writing would have gotten done). 2) Colton Haynes really does have cheek bones to rival James Marsters and eyebrows to rival Peter Gallagher. 4) Oliver should really pay attention to #dontditchdiggle, it just never seems to work out for him when he does. 5) Barrowman makes one of the most amazing bad guys! 6) Felicity has got style on her side. There are also a few of the office going to the City of Heroes event in May where Stephen Amell, David Ramsey, Katie Cassidy and Caity Lotz are all appearing, so I imagine that the Monday afterwards will be equally unproductive. End of Days is OUT NOW! Yes, it’s the long awaited the release of C.S. Woolley’s latest title in the Chronicles of Celadmore series! End of Days is the final installment in the story arc that follows Venetia and her companions as they fight against the forces of Nether Roth in the Shroud of Darkness trilogy*. Copies are also available in English from Amazon.fr, Amazon.com.mx, Amazon.com.br, Amazon.de, Amazon.es, Amazon.it, Amazon.nl, Amazon.in and Amazon.co.jp. *the Shroud of Darkness trilogy contains (in chronological order): Shroud of Darkness, Lady of Fire and End of Days. **some stockist take up to two weeks to display new titles after the day of release. 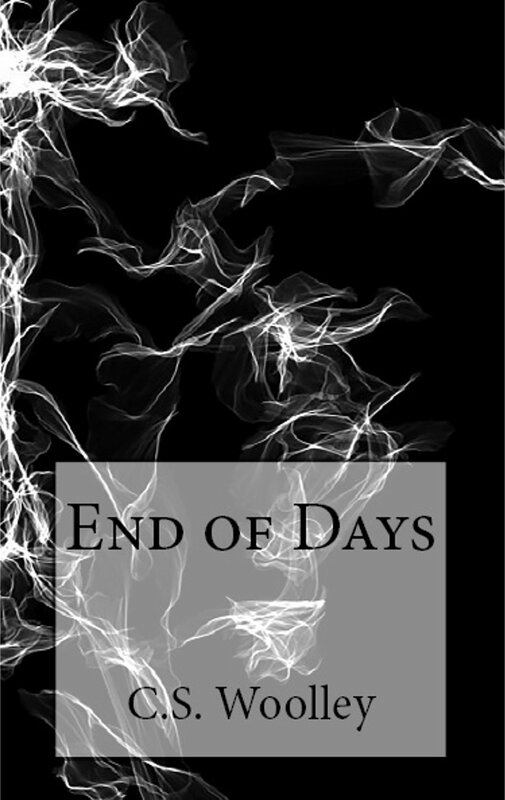 Users with nook, kobo or iOS devices can download compatible copies of End of Days directly from the approved Etsy store or from Smashwords.com. For those who prefer paperbacks, you can buy direct from the printers here.